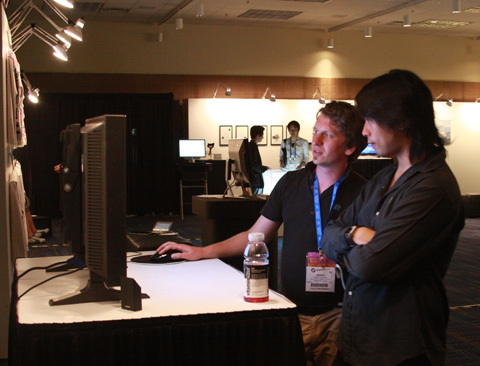 SIGGRAPH 2009 is over. Traditionally renowned as a graphics geek fest, with a focus on 3D and animation, I was not surprised to hear “GPU” in every second overheard sentence. 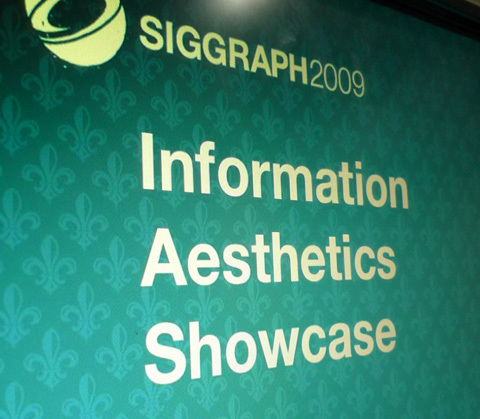 But there is also the other side of SIGGRAPH: the art exhibitions, the emerging technologies exhibition and the freshly introduced information aesthetics program with talks, a panel and an exhibition. I was present there with the well-formed.eigenfactor project and also had the chance to give a little talk. The exhibition – well curated by Victoria Szabo – featured a nice selection of a broad range of works, both from the usual suspects like stamen and Boris Müller, but also quite some works I was not yet familiar with. I especially enjoyed newsknitter, c-loc, the fabulous synchronous objects and Rhythm Analysis: A Temporal Stereopsis of Urban Telecommunication Data Topography. I had a short presentation (slides) on Monday morning in front of roughly 70 people. I presented some of the process and rationale behind the well-formed.eigenfactor project, gave an overview of the data analysis and ended with some “outtakes” of discontinued approaches and my favorite bug screenshots, as I get a lot of inspiration out of bad code. Thanks to Nicole Coleman for the good organization and moderation! 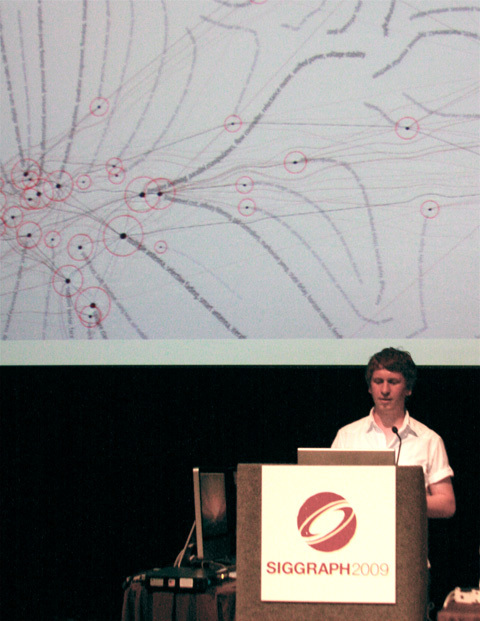 The project talks were followed by a panel in the afternoon, where I was delighted to see, among others, Andrew Vande Moere and Kennth Huff talk about their work and perspective on infosthetics. Overall, however, the panel was very broad in topic and in sum, lacking a central question or some red lines. For the years to come, it might be an idea to tie panels, talks and exhibitions closer together. 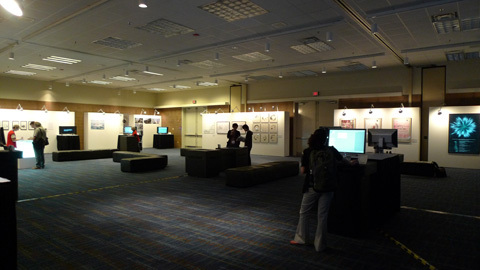 The days flew by and it was a great experience to be at SIGGRAPH and the Big Easy – New Orleans. Jazz and Blues everywhere and a real good vibe. Made some new friends, learned a lot, and the scotch and music in the dba were not shabby either.